To discourage impaired driving and support public safety, law enforcement agencies across Wisconsin will patrol in greater numbers for longer hours during the “Drive Sober or Get Pulled Over” holiday campaign that begins Friday and continues through New Year’s Day. 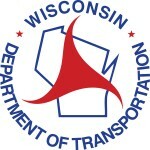 The Wisconsin Department of Transportation (WisDOT) is utilizing federal funds to support the stepped-up law enforcement efforts, public education and outreach. 25 multi-jurisdictional, high-visibility OWI enforcement task forces that operate year-round across the state. About 3,800 law enforcement officers trained in Advanced Roadside Impaired Driving Enforcement (ARIDE) to help detect and remove impaired drivers from roadways. 292 highly-trained Drug Recognition Experts – among the most in the nation. If you suspect a driver of being impaired, call 911. Be prepared to provide as much detail as possible about the driver, vehicle and location. Download the free “Drive Sober” mobile app from the WisDOT website. It includes a “find a ride” feature to help locate transportation alternatives.